Villa 3327 pays tribute to the dynamics of contemporary design. 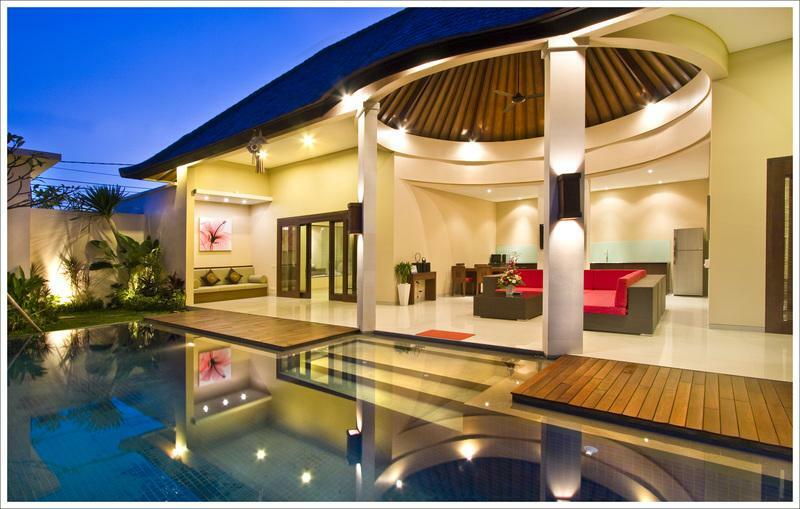 The complex incorporates a pair of adjoining two bedroom villas that carefully mirror each other. 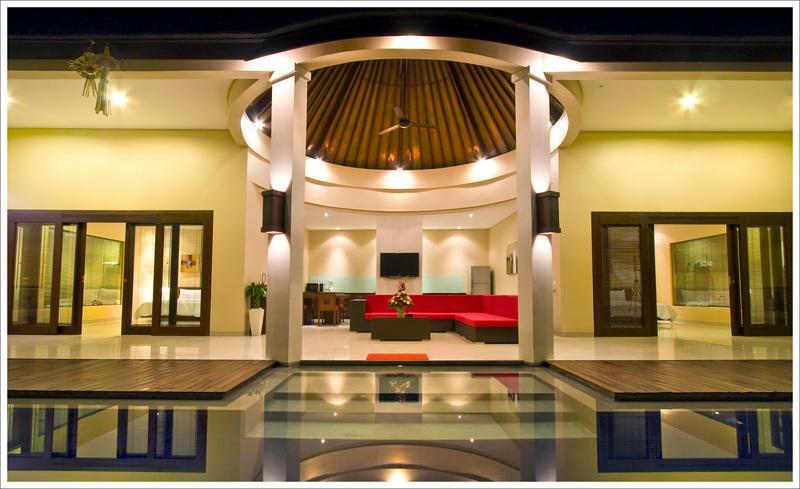 It is a retreat that promises modern luxury for travellers seeking to unwind and recharge. 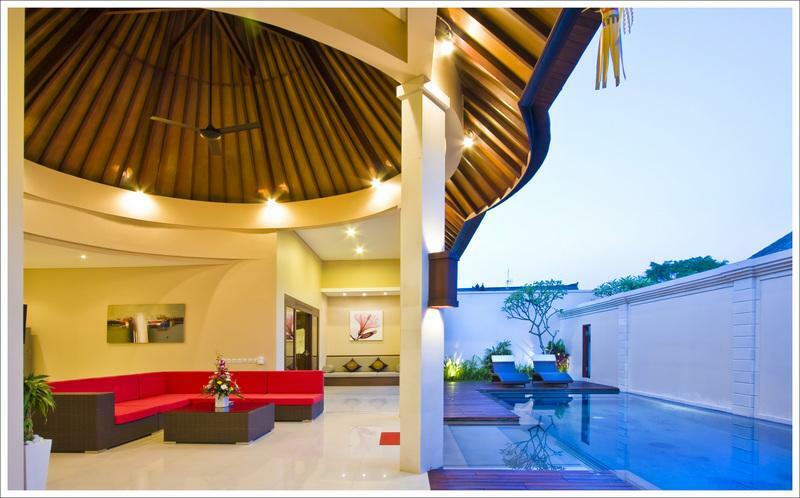 The clean line architecture and edginess of Villa 3327 invites guests to experience the sophisticated side of tropical Bali. Sun drenched days spent by the pool give way to balmy evenings of wining, dining and living it up in style. 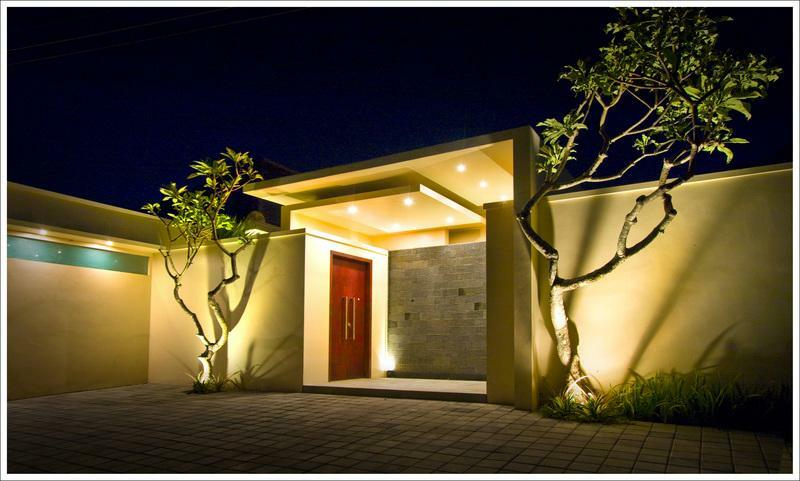 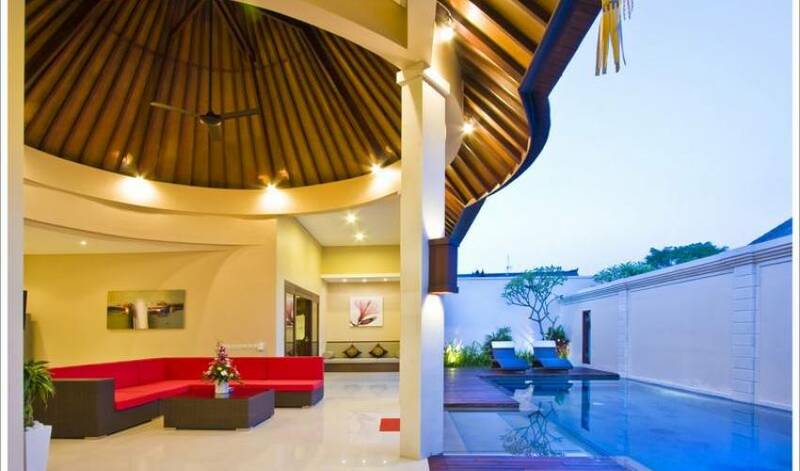 Villa 3327 has the privilege of being located on the Petitenget and Seminyak border. 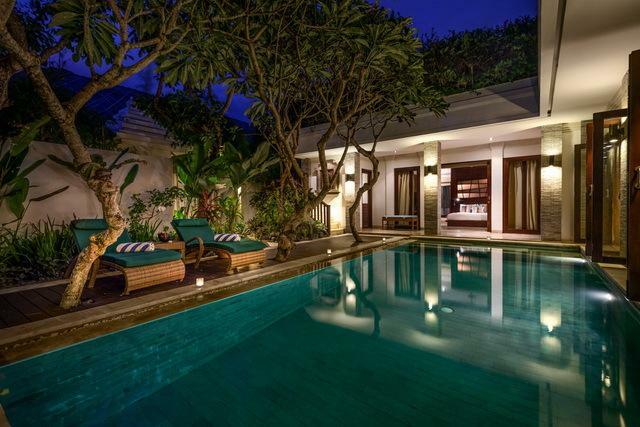 This is a vibrant area that continues to evolve with the opening of new restaurants, boutiques and galleries of local artistry. 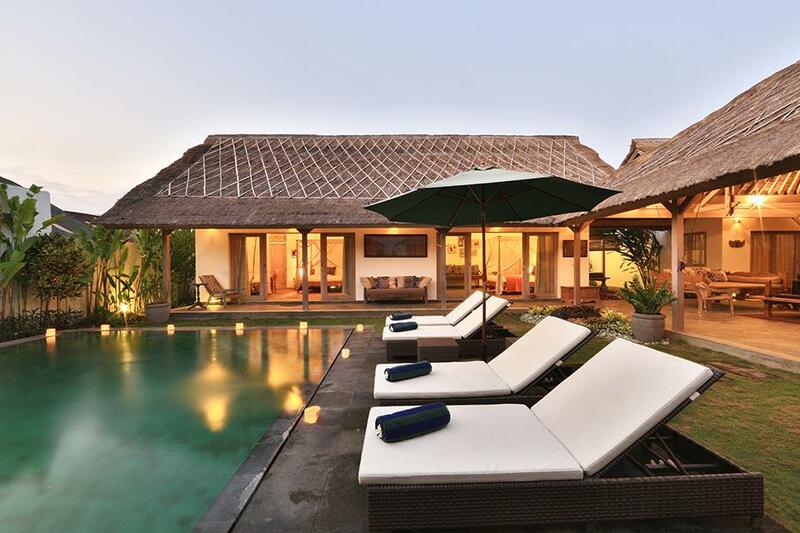 Seminyak is the place where every modern traveller deserves to be. 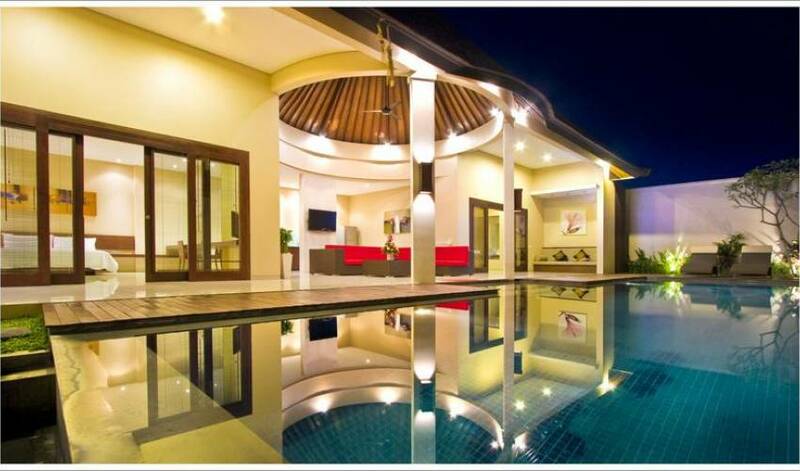 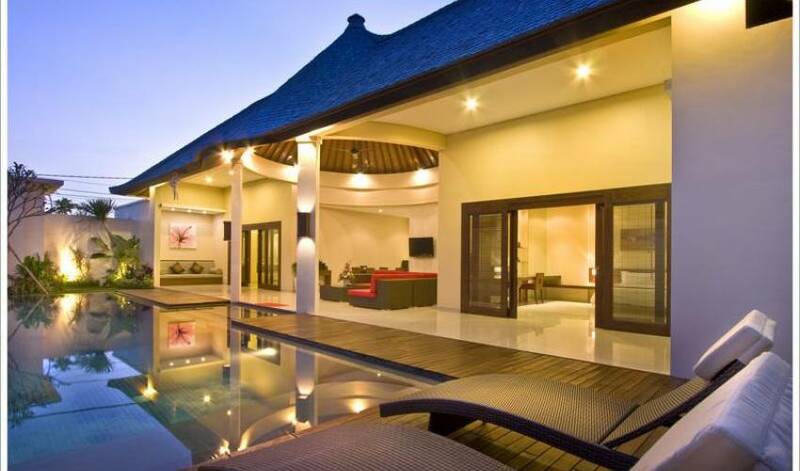 Villa 3327 is perfectly positioned to enjoy the beach or be seen at Bali's leading after dark hot spots. 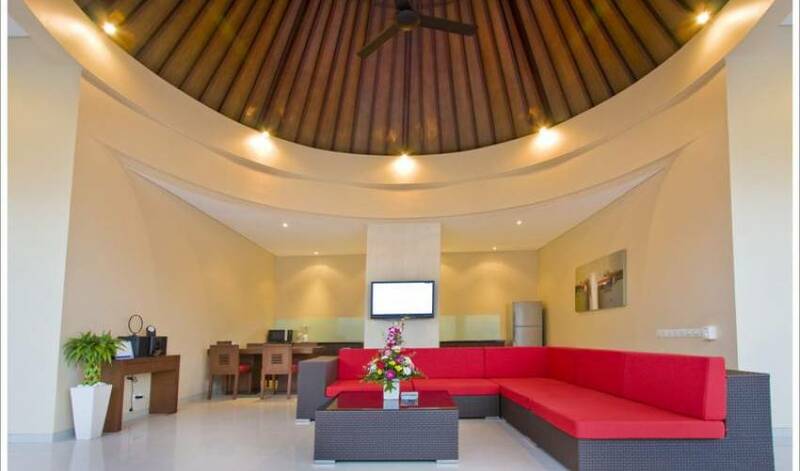 Ngurah Rai International Airport is just a 20 minute journey by car. Villa 3327 embraces the outdoors with a conical roof living environment that has direct access to generous T-shaped swimming pool. 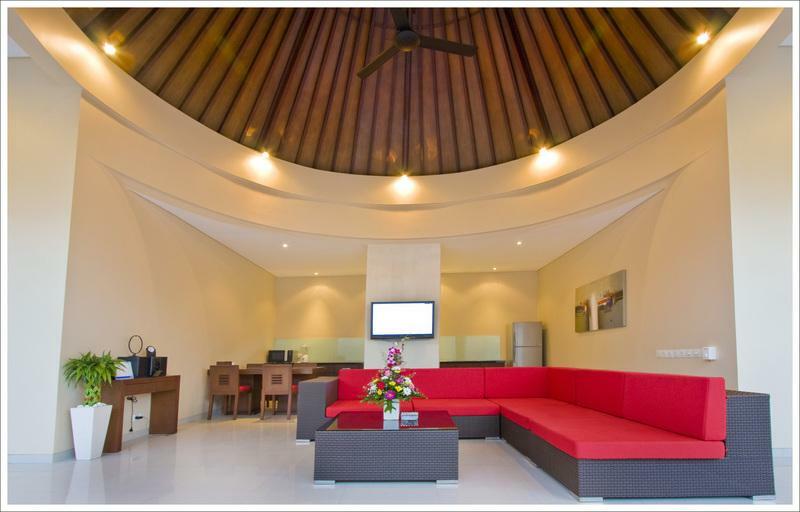 Relaxation revolves around a comfortable sofa unit where red cushions add a splash of colour to an otherwise neutral décor.